Looking for ideas to really get away from it all? Here are four long-haul destinations that are perfect for a digital detox. In our modern connected world, it can be difficult to really switch off. There’s always the temptation to quickly check your emails, or flick through one (or all) of your social media profiles. Most of us are also guilty of experiencing special moments in our lives through the small rectangular screens of our smartphone, instead of actually enjoying the moment for ourselves (are you really going to watch that wobbly video of your favourite band ever again – or would you have been better off actually, well, watching them during their performance?). Although technology has, without a doubt, made travelling easier, it can also intrude on the serious business of relaxation. With that in mind, we’ve looked into four far-flung climes where you can totally switch off for a real digital detox. This is a stunning island, just south of India, with a rich cultural heritage and a wealth of natural beauty. Sri Lanka is a largely Buddhist country and if you want to learn more about the religion you can climb Adam’s Peak. Near the summit you’ll be able to walk in the footsteps of Buddha; the Sri Padaor (sacred footprint)is believed to be the footprint of Buddha himself. Sri Lanka is an animal lover’s paradise. Whether you’re a keen birdwatcher, love marine animals, want to see some big cats or crave the full experience at an elephant sanctuary, this island has something for you – and so much more. With a wealth of experiences available here, finding a signal for your smartphone will be the last thing on your mind. This is the perfect place to take a step back in time – over 2000 years to be exact! 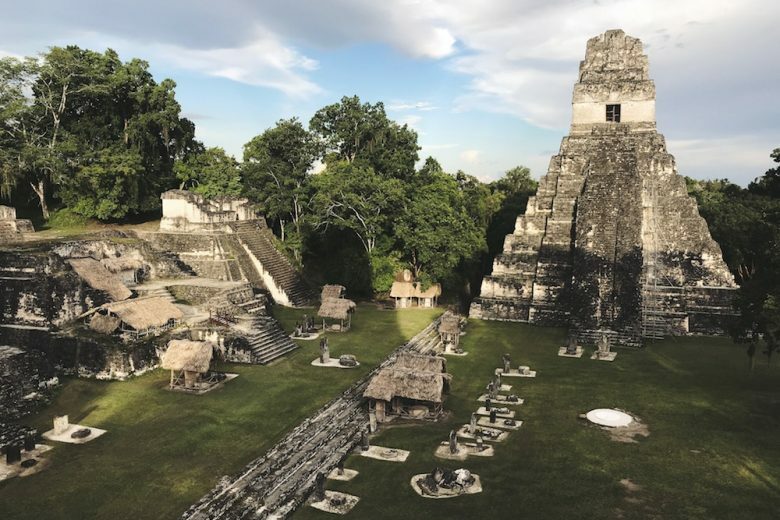 Take a day trip to the ancient Mayan city of Tikal and wander around this impressive UNESCO Heritage site. As you can imagine from an ancient city in the middle of the jungle, signal here is patchy at best. But why would you want to be sorting through spam emails on your smartphone when you could be drinking in the sights and sounds of this awe-inspiring place? The internet in Ethiopia is heavily restricted by the government – only around 15% of the country has access – so you’ll really struggle to get much signal at all. Instead, spend your time trekking through the Simien Mountains, also known as the ‘chess pieces of the gods’. This national park has itsown unique biosphere, which means you can catch a glimpse of some of Africa’s rarer species of wildlife. In Cuba, WiFi is patchy at best. Combine that with the fact you need to pay per hour to use it at designated WiFi hotspots or certain hotels, and suddenly scrolling through social media seems more trouble than it’s worth. That’s why Cuba is a great place to visit if you want to avoid continuous push notifications about unwanted marketing emails. While you’re there make sure you visit Old Havana, and if you canvisit during the evening. There’s a wealth of restaurants and bars to enjoy and you’re almost guaranteed to hear live music floating through the streets. Aim to spend a few hours satiating your wanderlust by strolling through the historic streets and drinking in the views – don’t forget to try an authentic Mojito while you’re there. Exploring off the beaten track can be a hugely rewarding experience. And travelling without being glued to a smartphone screen means you’ll take in much more of the unique countries you pass through. Of course, your smartphone does makes travelling a whole lot easier – restaurant guides, maps, train times etc – so if you’re recoiling at the ideas suggested in this article then there are some equally stunning places to visit with brilliant coverage. Take a look at this guide to Global Roaming to find your next fully connected adventure.